Book your stay at Sky Dancer Casino & Resort for the ultimate gaming getaway. We have 194 elegant guest rooms that will meet the needs of everyone! Open 24 Hours a Day, 7 Days a Week. Call: 1-877-676-0048. * No discounts or coupons may be used during concert or event nights. 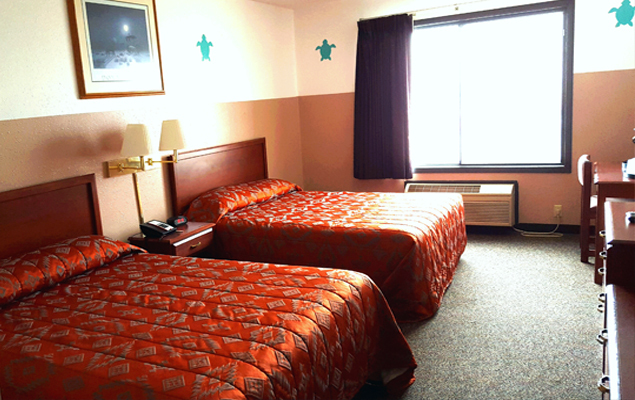 Our spacious rooms include a flat-screen HDTV, your choice of one king or two queen beds, refrigerator, microwave, Keurig coffee maker with assorted coffees, complimentary Wi-Fi access, free HBO, and completely smoke-free. 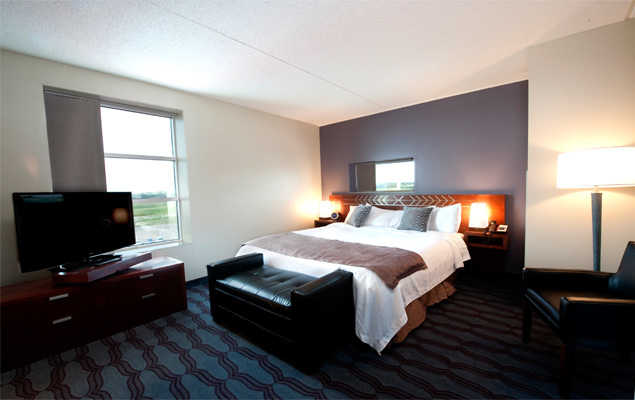 Luxury and comfort meet in a room with excellent amenities. Choose from either two Queen sized beds or one King in our new and completely smoke-free Tower. These rooms feature two flat-screen HDTVs, free wireless internet, luxury shower (no tub in room), Keurig coffee maker, fireplace (available in king suite only), a separate seating area with couch, chairs, and a wet bar. Additional amenities include two telephones, free HBO, hair dryer, iron and ironing board. Guests must be 21 to rent a room. Guests under 21 stay free with a paid adult. Sky Dancer Bus Program offers an alternative to driving. Contact Dean DeCoteau at Sky Dancer Casino & Resort for bus packages or to schedule a trip. Please call: 1-701-244-2400 or 1-866-244-9467 and ask for Dean at extension 172.